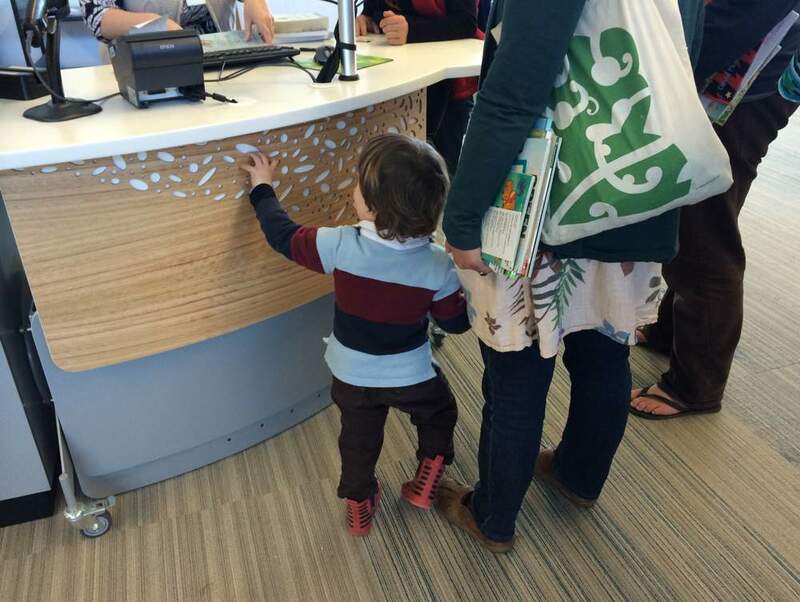 Earlier this year, the beautiful new Waiheke Pātaka Kōrero / Waiheke Library opened it’s doors to an enthusiastic island community. The building has been skillfully designed in harmony with its unique village location and the Gulf Island surrounds, and is four times the size of the former library. 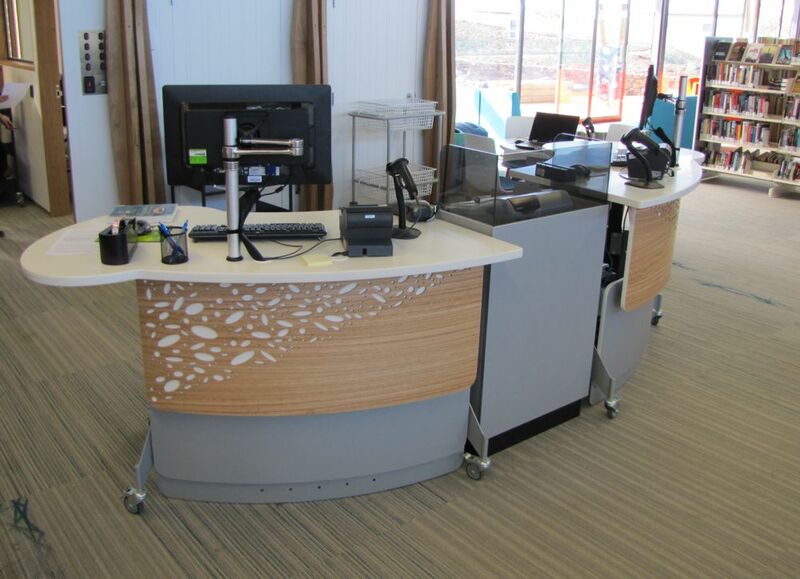 Instinct Furniture worked on the project with the management team including Corrina Meikle, Service Delivery Manager, Fiona Kralicek, Waiheke Community Library Manager and architects, Pacific Environments. The new building and grounds of Waiheke Library are enriched by four works of permanent integrated art that evoke the island’s distinct stories and character. The building materials used are robust and natural and feature areas of glass that make the building light and inviting. 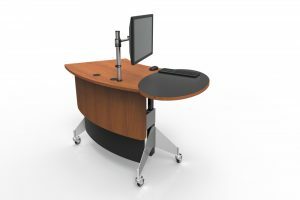 Chosen for their spontaneity, versatility and height adjustability, Instinct Furniture’s GLO 1600 stations define the circulation area. 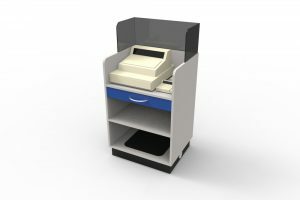 The GLO Stations deploy either side of our Cash/EFTPOS Module to allow equal access to shared services. 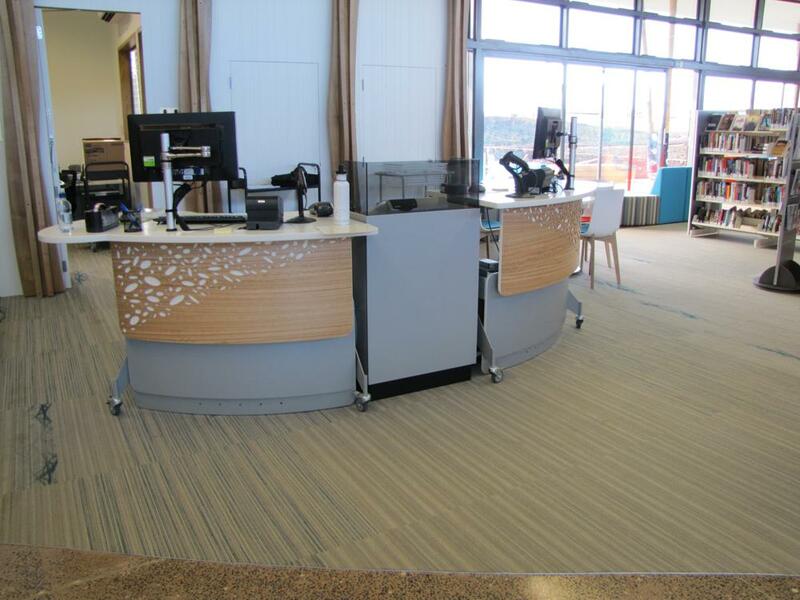 In close liaison with the architects, GLOs front panels have been customised to feature the latticework design used throughout the building interior. 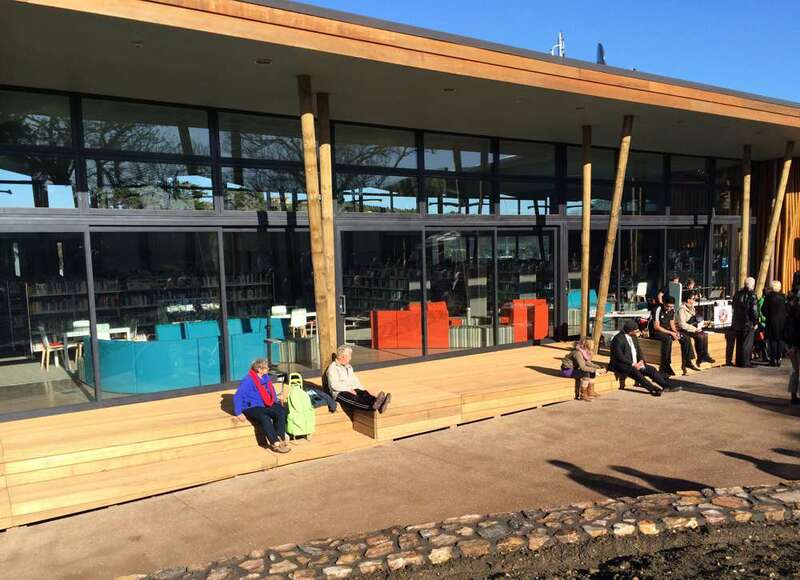 Waiheke residents now boast a state of the art library facility housed in a sensitively designed and energy efficient building which respects and embraces the island’s unique culture.